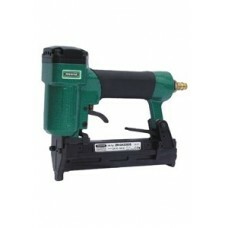 Prebena pneumatic nailers for pins and brads find their application, when the fastening should be almost invisible. 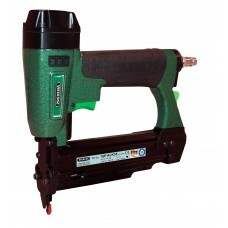 The pneumatic nailers are suitable for a wide range of pins (with and without head) or brads in various lengths and types. 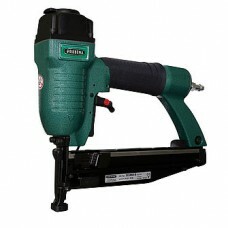 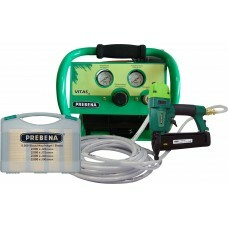 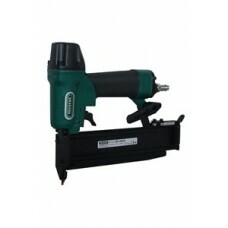 Prebena offers different models of pneumatic nailers for pins and brads in its product range. 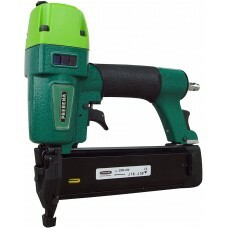 Pneumatic nailers with PKT technology, combi-staplers and especially handy pneumatic nailers are included in the standard product range. 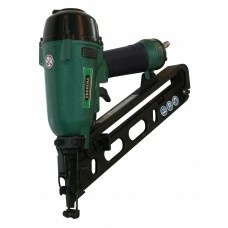 Applications: Baseboard, facework, eave formwork, beads, laminations, wooden fences, steel base plat..
Technical specification: Fires 12mm to 35mm- Weight: 0,9 kg (1,98 lb.) 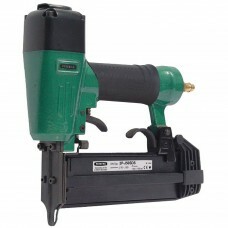 Operating pressure: 4 - 6 bar..
For pins type GA from 16 - 30 mm (5/8" - 1-3/16") Applications:For invisible fixing, fine beads, dec.. 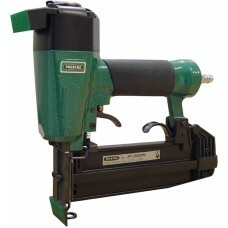 Applications: Decorative mouldings, glazing beads, hardwood trim, joinery manufacturing, furniture m.. Applications: Flooring, framing, furniture manufacturing, prefabricated buildings, packing, pallets,..
for brads type J from 16 - 50 mm (5/8” - 2”) Applications: Specialized tool for secret fixing of gla..
for brads type J from 16 - 50 mm (5/8” - 2”) Applications: Specialized tool for secret fixingof glaz..
for 18 gauge brads type J from 16 - 50 mm (5/8" - 2") Applications: Decorative moldings, glazing bea..
Vigon 120 compressor, 2XR-J50 18ga brad gun, and 15 to 40mm range of fixings. 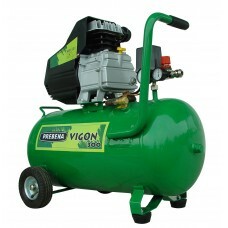 Technical specific..
Vigon 300 compressor, 2XR-J50 18ga brad gun, and 15 to 40mm range of brads. 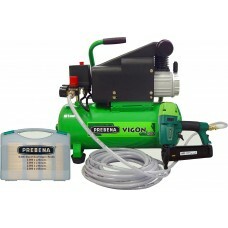 Technical specificat..
Vitas 45 compressor, 2XR-J50 18ga brad gun, and 15 to 40mm range of fixingsTechnical details: Motor..